It is always fun to sew little girls dresses around the holiday season, but let’s not forget about the little Misters in our life when it comes to handmade holiday clothes! 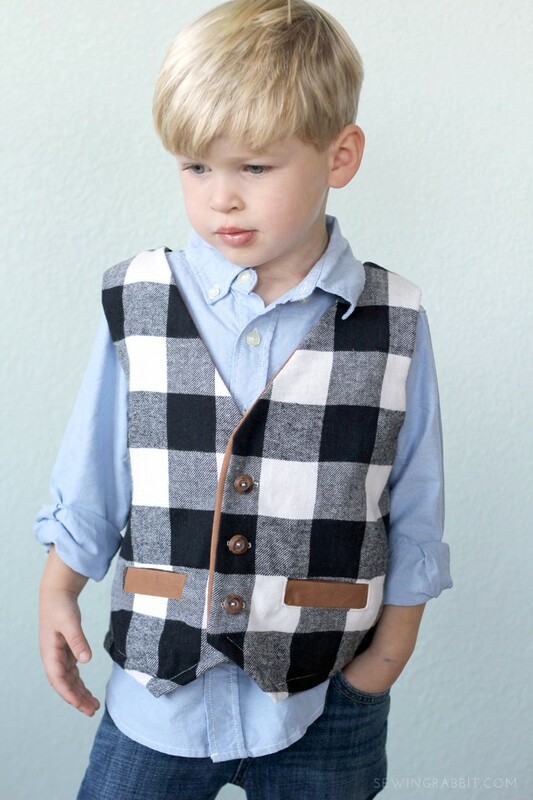 Sewing up a handmade boys vest is super easy, and can add class and style to an otherwise comfortable boys holiday outfit. I have been sitting on this pattern for a while, and decided TODAY WAS THE DAY to release it to the public for free. I hope and pray it brings joy to many families this holiday season as they get to dress up their loved ones in handmade style. 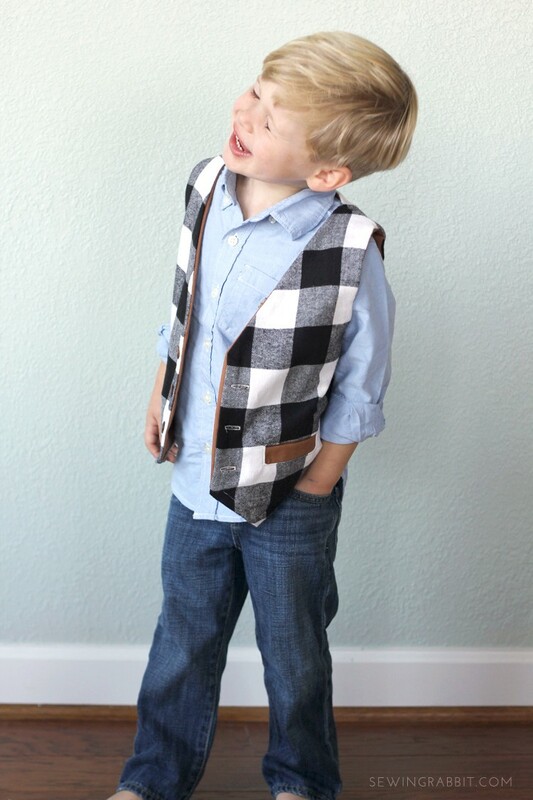 Free Vest Pattern || for the little handsome men in your life. Click HERE to download the free pattern and instructions. *Please note – I kindly ask that you refer your friends to this page when wanting to share the pattern so that they can download the pattern directly! Please do not e-mail the file directly. Why? Because you see those ads on the sidebar? That is how I get paid. ‘Pageview traffic’ & ‘affiliate links’ are part of my salary, and I appreciate every single person who visits my site! 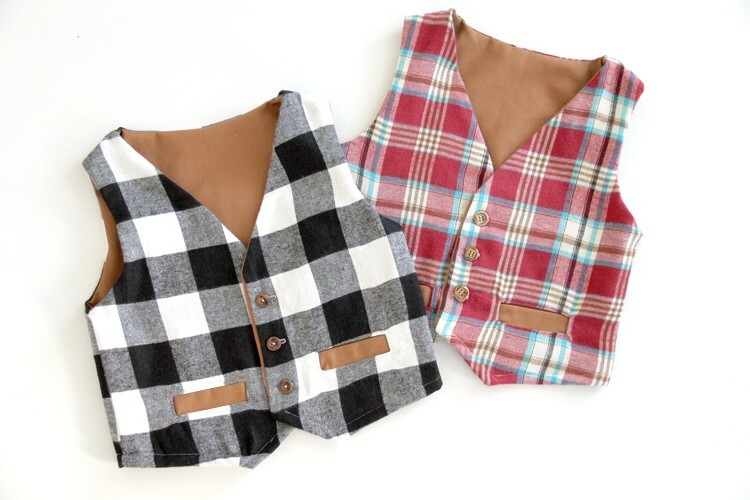 So thank you, thank you for being here and for downloading the free boy’s vest pattern, and for referring your friends to this site to do the same. It means the world to me, and helps the Sewing Rabbit continue to run :). Also – you are more than welcome to sell vests made by using this pattern. I would be absolutely delighted to know that I am helping a seamstress out there put food on her table in her handmade shop! And more photos of my handsome son, because look at that punnum…I just can’t help myself. Oh my. He’s so sweet. 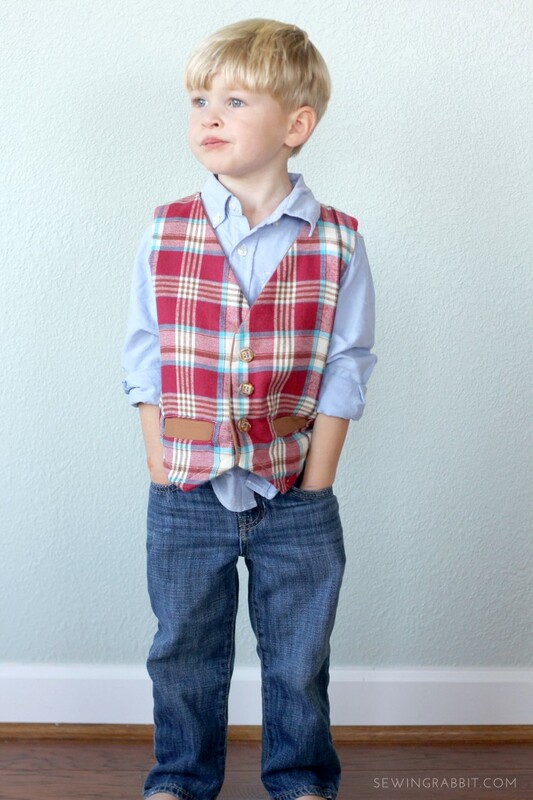 I just love little boys in vests! Great pattern, thank you. 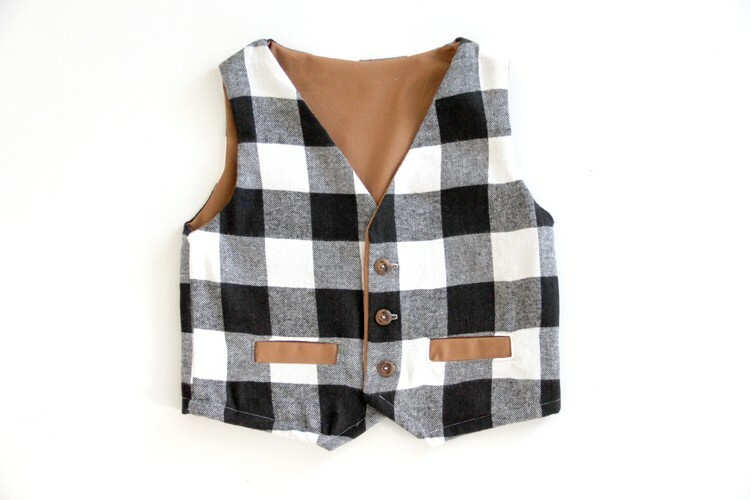 I made this into a reversible vest for my 2 year old. 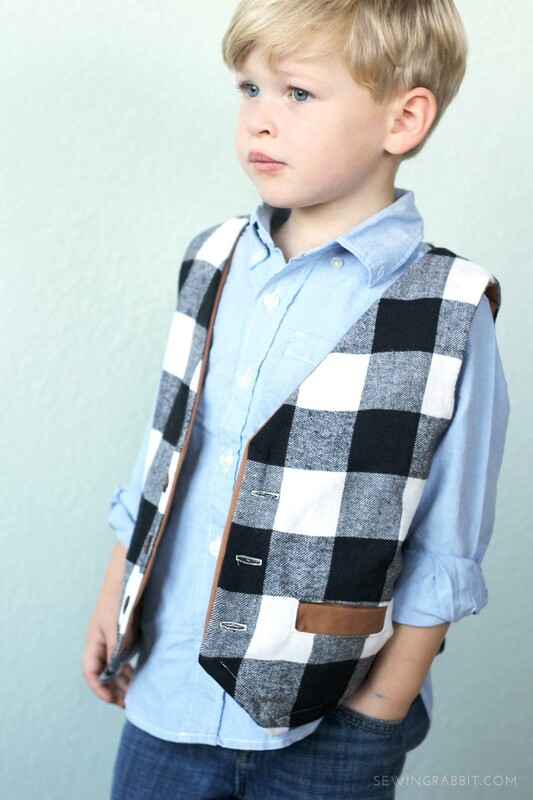 BTW… Your son is an absolute cutie-pie! I made this vest as a quick pirate waistcoat for my daughter. She is 8, but I made her size 9, so she can move about in it more easily (it’s for a dance show). I left out the pockets and made the waistcoat from red and black satin. It was a nightmare to sew (nothing to do with the pattern obviously, just my fabric choice). 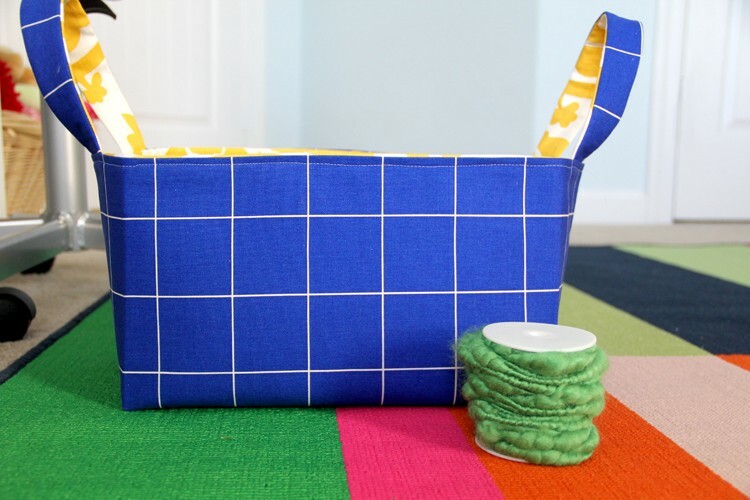 I really like the pattern and will be making more of these for my littlest one, who is only one. So plenty more vest fun to be had with this one! Thank you very much for your patterns! Thank you for a quick and easy pattern to follow. Love how it turned out….I used a pirate pattern and lined it with black satin for my soon to be 3 grandson. Thank you for your free pattern. I want to make one for my 2 year old grandson. Kind greetings from the EU. Would the 10 years size be a boys size 10? Thank you so much for the pattern. 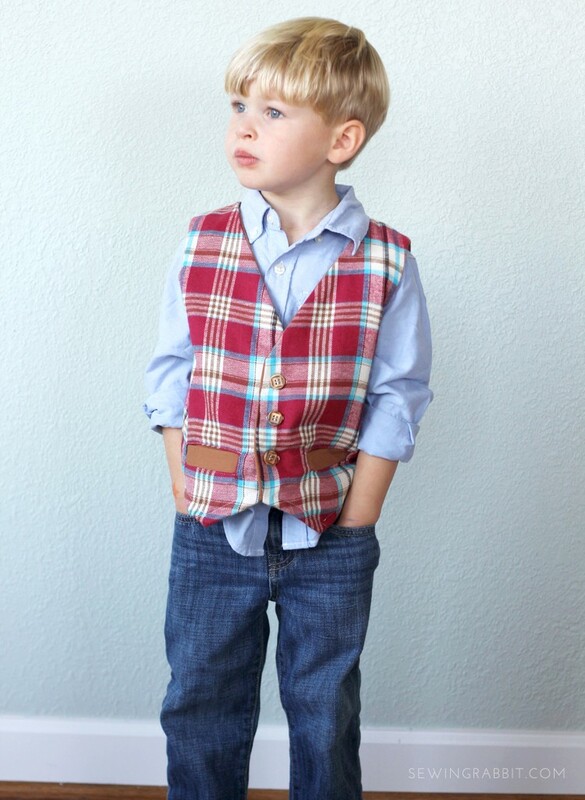 I love the vest ideas too! Thank you so much for the pattern!! I used to be a professional seamstress, and specialized in custom made vests. 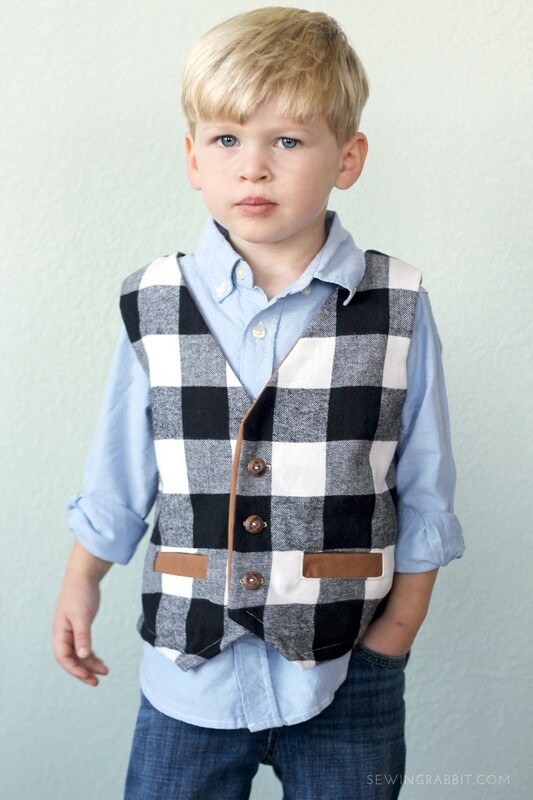 🙂 Fast forward 20 years…now I am Mother-of-the-Bride and need vests for the little boys in the wedding. Can’t stand to pay $20 each, for something that even these shaky, Parkinson’s hands could do for a few dollars. So, I searched through old clothing to find the right fabric, (an old pin-striped jumper I couldn’t bear to part with because of the beautiful fabric) and found your wonderful pattern. 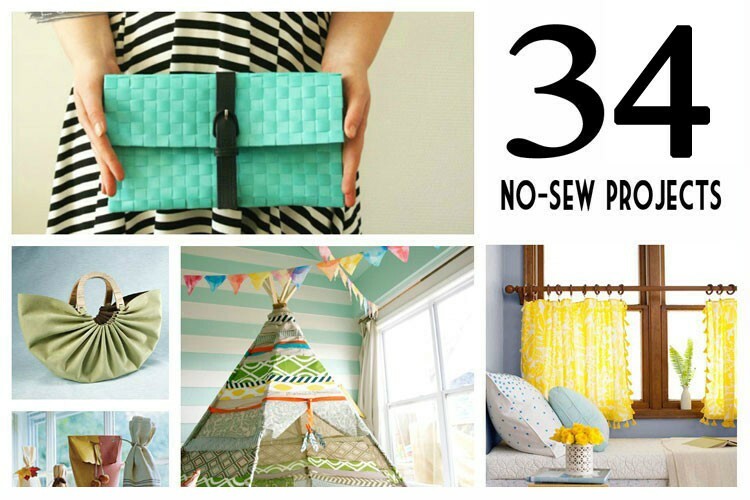 Can’t wait to start sewing! Wow, thanks for the very nicely done pattern! Very appreciative that you are offering this for free. 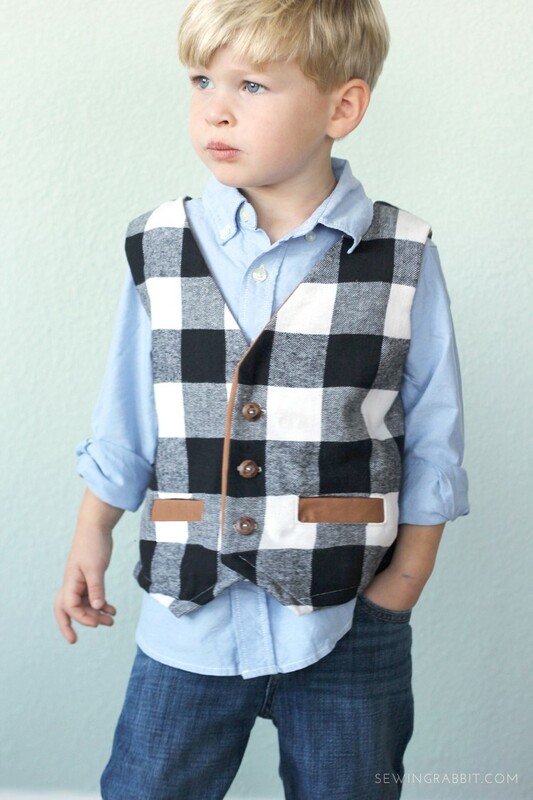 Need a last minute (this is everything in my life haha) vest to make for my grandson’s baptism and this is perfect! My son is 10 and chest measurement is 30.5. Do you think the size 10 would still fit evenness if it’s not button? Hooray!! Making it this week for my son’s steam punk outfit!! Pinning your site too 🙂 hope it helps!! Thank you!!! 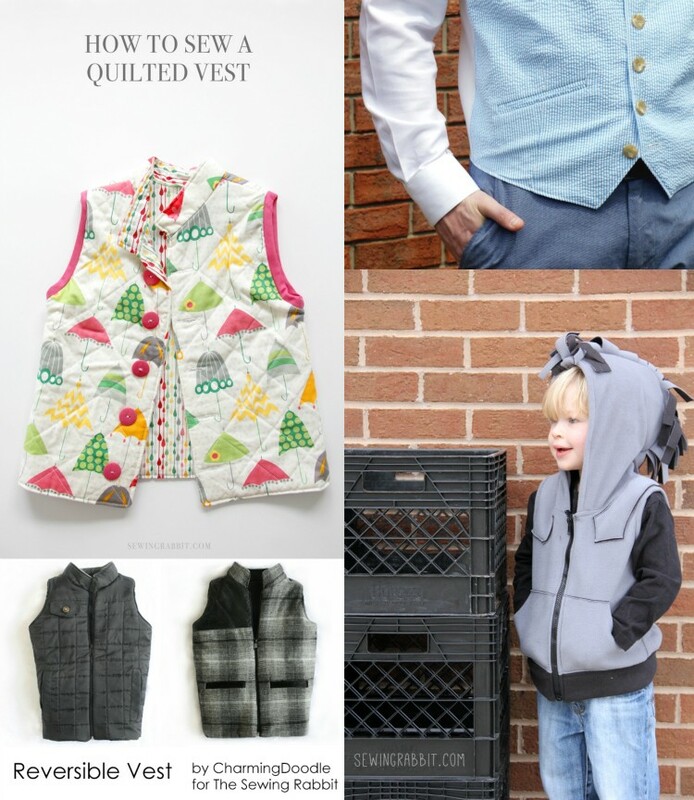 Thank you for the free vest pattern and the permission to use it to make vests to sell. I plan to do that soon, as I have been asked when I would have some boys items for sale along with the dresses in my shop. Your pattern was found at just the right time! Thanks for the free pattern…it’s so cute! I’ll be sure to link back to you when I make it. Love the pattern! I’m looking forward to making it for the son of a friend. I will be adding pockets (probably at least 6-8) like a photographer’s vest. Thank you for the pattern! Can I use a sherpa warm fabric as the lining?